John C. Shelton, 78, passed away on Monday, Sept. 23, 2013 at the Victory Lakes Continuing Care Center in Lindenhurst. He was born Jan. 10, 1935 in Kirksville, MO and has been a Libertyville resident since 1966. He was a graduate of Kirksville State Teacher's College, now Truman State University in Missouri and received his masters degree from the University of North Dakota. He began his teaching career in Donnellson, Iowa in 1956 and later taught in Nevada and Bettendorf, IA and Stevenson and Niles West in IL. He was one of the first to arrive when the College of Lake County opened in 1969, where he was the former chair of the Physical Services Department and later taught physics, retiring in 1995. 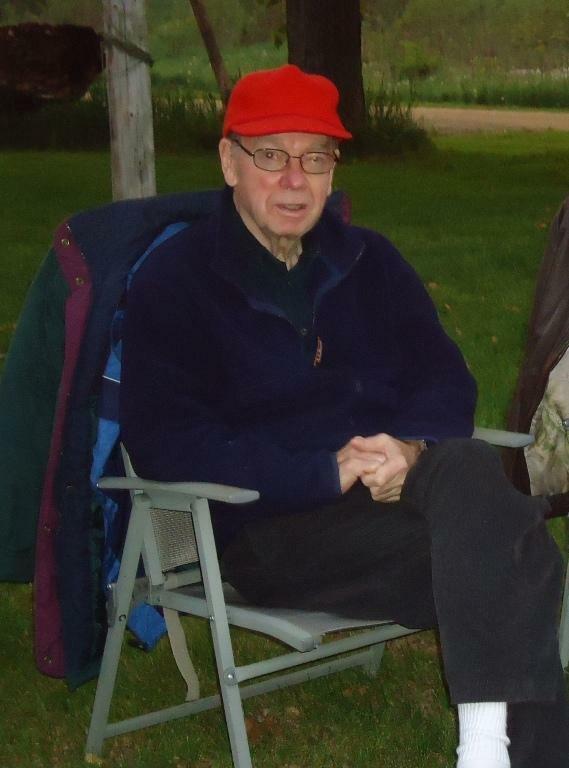 John was a member of the Hope Evangelical Presbyterian Church in Grayslake, served on the Cook Memorial Library Board in Libertyville and also the Rondout School Board. Surviving are his wife of 52 years, Alvera Shelton; two children, Pat (Randy) Luce of Waukegan and Todd (Shay) Shelton on Kenilworth; 5 grandchildren, Tyler, Sarah and Daniel Luce; Sophie and John C. "Jack" Shelton; brother, Merlin Shelton and sisters, Cheryl (Rod) Ottoman and Jennifer (Bill) Fowler. He was preceded in death by his parents, A.B. and Mildred Shelton, by his brother Raymond Shelton and sisters, Genevieve DiFrederico and Annabelle Clark. Visitation will be from 4:00 to 7:00 p.m. Friday, Sept. 27 at the Burnett-Dane Funeral Home Ltd., 120 W. Park Ave. (Route 176, one block west of Milwaukee Ave.), Libertyville. Services will be held at 3:00 p.m. Sat. Sept. 28, 2013 at Hope Evangelical Presbyterian Church, 32475 N. Alleghany Road, Grayslake, IL 60030. Memorial contributions can be made to either his church or the CLC Foundation for Scholarships. Info: 847-362-3009 or sign the guest book at www.burnettdane.com. My sister and I have the fondest memories of J.C. as a childhood friend and playmate. We lived in a house on their farm east of Unionville. My sympathies to all the Shelton family, a wonderful family. We have many wonderful memories of a gentle sweet friend. His memory is treasured. My sympathies and condolences on the loss of your Dad. May God's peace be with all of you at this time. Our prayers and sympathy are with all the Shelton family. Todd and Shay - I'm sorry about the loss of your dad (dad-in-love) but I know that you are held in the comfort of where he is now. My thoughts and prayers with you and your family during this time. We'll miss our dear friend John after 47 years of friendship, but what happy memories we have. May God bless all the Sheltons; our prayers are with you. John was a gentle soul and a wonderful friend. We will miss him tremendously, especially on each Memorial Day weekend campout from here on in.